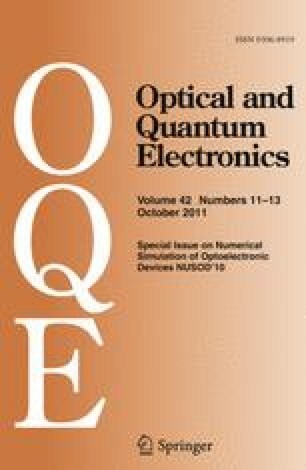 A one-dimensional numerical model for the simulation of organic semiconductor devices such as organic light-emitting devices and solar cells is presented. The model accounts for the energetic disorder in organic semiconductors and assumes that charge transport takes place by a hopping process between uncorrelated sites. Therefore a Gaussian density of states and the use of the Fermi-Dirac statistics are introduced. The model includes density-, field- and temperature- dependent mobilities as well as the generalized Einstein relation. The numerical methods to solve the underlying drift-diffusion problem perform well in combination with the novel physical model ingredients. We demonstrate efficient numerical techniques that we employ to simulate common experimental characterization techniques such as current-voltage, dark-injection transient and electrical impedance measurements. This is crucial for physical model validation and for material parameter extraction. We also highlight how the numerical solution of the novel model differs from the analytical solution of the simplified drift-only model.